Love buying shoes from schuh? Can’t help but take a cheeky snap of your new purchase for Twitter and Instagram? Then don’t leave us out – we want to see! Step 1: Treat your fine self to some lovely shoes or accessories from schuh. Step 2: Pop those bad boys on and check out how good you look in the mirror. Step 3: Done with the mirror? Grab your phone or camera and take a snap of your new purchase. We want you to be as creative and unique as possible (but please don’t take ‘cheeky snap’ to mean anything other than an image you’d be happy to send your mum). Step 4: Share your picture on your Twitter or your Instagram with #schuhsday. Step 5: Follow us on Instagram and Twitter to see if you’ve been featured. 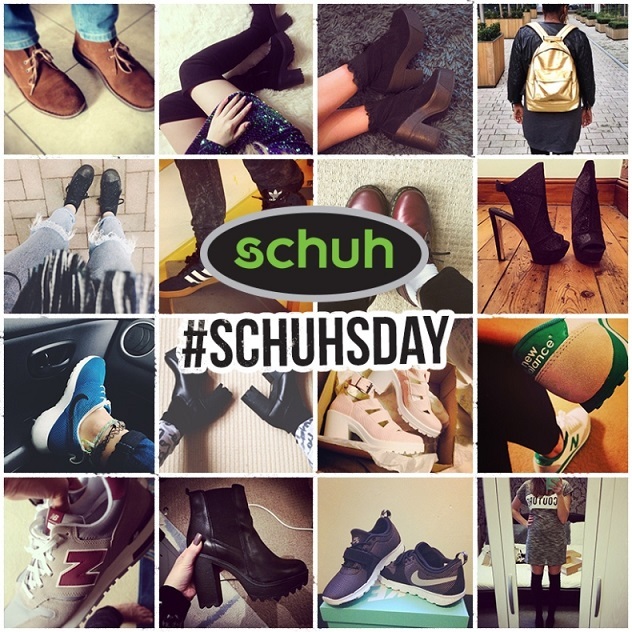 #schuhsday happens every Tuesday but we’re more than happy to take submissions all week. Can’t wait to see all your snaps!